Is it March? Is it October? No, it’s June! Well, that’s what the calendar says anyway. It may not feel like summer, but we can’t let that stop us from putting together our summer reading lists. 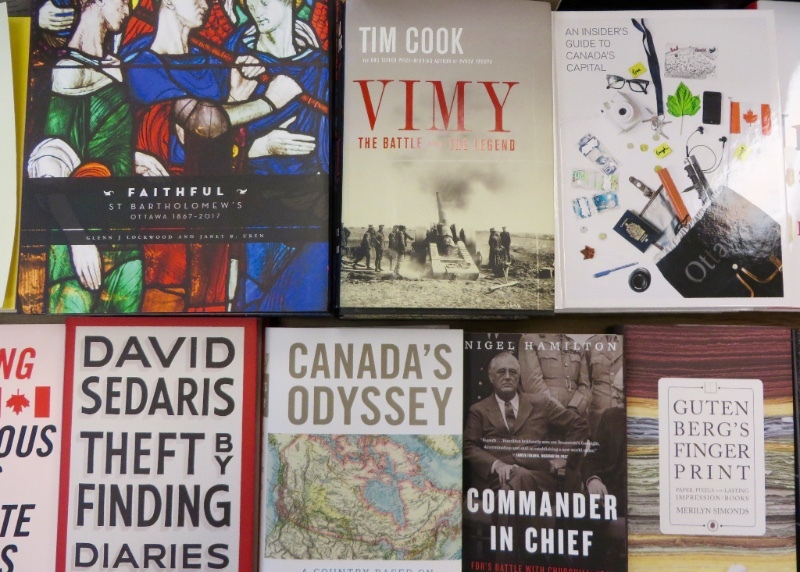 Whether you’re jetting off to warmer climes, making a trek up to the cottage, or planning on spending a quiet summer in the dappled sunshine of your own backyard, there is no better or more constant companion to have by your side than a great book! Escaping to sunny Spain for a bit of a break sounds like an excellent idea to us. Why not make your trek without the hassle of plane travel by reading Jane Johnson‘s new novel Court of Lions? Fleeing a terrible trauma back home, Kate Fordham suddenly finds herself waiting tables in the ancient Spanish city of Granada. Surrounded by history and the dust of centuries past, the chance discovery of an ancient symbol-laced message turns Kate’s life on its head once again as she’s plunged into a historical adventure unlike any other. Closer to home, The Hopefuls by Jennifer Close is the charming story of newlywed couple, Beth and Matt, who decide to move to the political hotbed of Washington, DC in order to nurture Matt’s political aspirations. Beth immediately hates everything about their new city and doesn’t start to truly settle in until she and Matt meet and befriend another DC couple, Jimmy and Ashleigh. While the four friends begin to do everything together, it doesn’t take long for their lives to become riddled with tension, jealousy, competition, and rumours. Tracy Chevalier, the beloved author of The Girl with a Pearl Earring, Remarkable Creatures, and The Virgin Blue, has joined the likes of Margaret Atwood, Anne Tyler, Howard Jacobson, and Jeannette Winterson, as the newest author of the ongoing Hogarth Shakespeare series with her new book New Boy. As a retelling of William Shakespeare‘s Othello set in a Washington high school in the 1970s, this new novel tells the story of Osei Kokote who quickly makes friends with Dee, the most popular girl in school. However, the road to love is seldom smooth and pretty soon, in a fit of jealousy, the self-proclaimed ruler of the schoolyard sets out to destroy this beautiful, blooming friendship. Like the original tale, no character in Chevalier’s story will escape these tragic events unscathed. If reading a creepy, crawly thriller is right up your alley this summer, be sure to check out Skitter by Ezekiel Boone. As the follow up to last year’s The Hatching, this new novel continues the story of an ancient species of man-eating spider that has mysteriously awoken and begun terrorizing the human and animal populations around the globe. Not for the faint of heart, this entertaining series has been a staff pick from the moment it hit our shelves! One of the most highly anticipated non-fiction books of the summer has finally arrived! Did you enjoy Me Talk Pretty One Day, Dress Your Family in Corduroy, When You Are Engulfed in Flames, and Let’s Explore Diabetes With Owls? Then be sure to pick up a copy of David Sedaris‘ new book Theft By Finding: Diaries 1977-2002. This world-renowned humourist has spent the last forty years keeping diaries of everything that captures his attention – from overheard comments and passing gossip to soap opera plot twists and secrets confided by total strangers. It’s these diary entries that have formed the basis for all the books of essays that Sedaris readers have so loved over the years. It’s a real treat for diehard David Sedaris fans and anyone who enjoys quick wit and sharp observations. It’s not uncommon for everyone to go through at least one phase of childhood during which they decide they want to be an international spy. Henry Hemming can help you relive these dreams with his new book Agent M, a biography of Maxwell Knight. In addition to being perhaps the greatest spymaster in history, Knight was a devoted jazz aficionado and an eccentric exotic animal collector. Perhaps most fascinating is the fact that he’s rumoured to have been the real life inspiration for Ian Fleming‘s debonair secret agent, James Bond. Consequently, this book is best enjoyed shaken, not stirred! Before the kids leave for camp or head off on holiday for the summer, be sure to stock up on some great reads for them to pack next to their sunscreen, flip-flops, and extra snacks. Multiple award-winning author Jason Reynolds has just released As Brave As You, a new story about family, the bond between brothers, and the true meaning of bravery. This heart-felt coming of age story is perfect for fans of The Ethan I Was Before by Ali Standish, The Thing About Jellyfish by Ali Benjamin, and The Lotterys Plus One by Emma Donoghue. With a touch of steampunk, a dash of mystery, and a lot of puzzle-solving, York by Laura Ruby is a real treat for fans of fantasy and adventure. In 1798, the mysterious Morningstarr twins arrive in New York and proceed to develop the city with a puzzle called the Old York Cypher built right into its streets and buildings. When this puzzle, which is said to lead to a treasure beyond imagining, remains unsolved into modern times, Tess, Theo, and Jaime set out on a quest to save their home and solve the world’s most mysterious puzzle. When Dimple Met Rishi by Sandhya Menon is a funny, romantic story about two Indian-American teens whose parents are conspiring to arrange their marriage. Dimple is looking forward to spending the summer at a web design camp and escaping her mother’s obsessive search for a nice Indian boy for her to marry. Rishi is a hopeless romantic and has no problem with his parents arranging his marriage – he’s actually pretty happy about it. When he finds out that his intended is going to be at the same camp as him, it feels like fate. But despite their initial positive reactions to each other, things don’t move forward quite as planned. Will these two teens manage to find real love despite the planning and scheming of their respective parents? With so many more books to mention than we have space for in this medium, here are a few more recent and upcoming releases that we’re all excited to get our hands on: The Party by Robyn Harding, Be Ready for the Lightning by Grace O’Connell, Everyone Brave is Forgiven by Chris Cleave, No is Not Enough by Naomi Klein (June 13), The Little French Bistro by Nina George (June 13), A Sackful of Limericks by Michael Palin (June 27), and Fierce Kingdom by Gin Phillips (July 4). We had a lovely evening at Clarkstown Kitchen & Bar with Mary Walsh back in May and are glad that so many of you were able to join us. We don’t have any new dinner events coming up in the next couple of months, but we look forward to having you all join us once again when our Titles@Table40 series kicks back into high gear in the fall. In the meantime, we still have some great signings and readings coming up in the store over the next month that are worth checking out. On Saturday, June 10, be sure to come by to meet author John Kalbfleisch. He will be here from 12:00pm to 2:00pm to sign and read from his new novel A Stain Upon the Land. Local children’s author Miriam Bloom will be on hand on Saturday, June 17 from 1:00pm to 3:00pm to sign copies of her colourful new picture book An ABC of Ottawa. Full of bright photos of famous National Capital landmarks, this lovely book is more than deserving of a permanent home on your bookshelf. It’s been hard to get into that relaxing summer feeling so far this year thanks to our very wet, cold weather, but planning your seasonal reading list is an excellent step in the right direction. With tons of new titles appearing on our shelves every day, there are an almost infinite number of book destinations to choose from. As Neil Gaiman once said, “a book is a dream that you hold in your hand.” With those wise words in mind, we wish you all sunny days ahead and pleasant dreams to come.